Award winning Wings Pizza and other Things! For over 40 years Mr. Spillman has been in the food and franchising business models, as he founded his first corporation in 1960 when he was only twenty-two years old and grew that franchise to over 700 restaurants worldwide until it was sold in 1987. Mr. Spillman created Wings Pizza N Things concept in 2002 as the best model for casual, all-American dining at the best price of entry and it is one of the hottest (and tastiest) franchises to hit the market. Wouldn't it be great to find a franchise that offers, high quality "FRESH IS BEST" menu items including Pizza, Buffalo Wings, fries and fruit pies? Well, Wings Pizza N Things does and have been opening stores rapidly the last few years at a rate of at least 40% each year simply because nobody else has this business model. Our developing program represents an entrance into a growing Sports Restaurant market with exciting and unique types of food available for dining in, delivery, and take-out. Wings Pizza N Things Restaurants have a unique atmosphere, complete with model airplanes, vintage art, huge television screens and an eclectic mix of contemporary and antique dcor. Our informal setting is appropriate for all ages and offers a relaxing, enjoyable place to wind down and enjoy your meal. 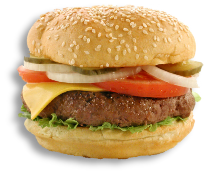 The customers enjoy great service, quality "FRESH IS BEST" food with fast food pricing. There is no better place to have a meal, period! 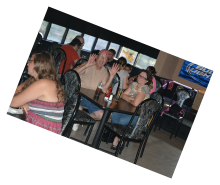 Larger stores have a full bar separated from the dining room and offer a pizza buffet, game room and a party room. Our standard footprint is 2800 sq ft up to 6000 sq ft but we also recognize that some areas require smaller spaces due to rent or the customer needs so we will open small locations, food courts, airports or gas stations. 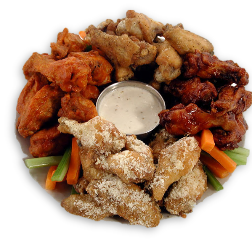 WINGS-PIZZA-N-THINGS restaurants offer a pleasant atmosphere combined with food that no other restaurant can compete with! Only Fresh, quality ingredients and spices are used to develop 10 proprietary sauces that give our Jumbo Buffalo Wings and Chicken items that knock-your-socks-off flavor. WINGS-PIZZA-N-THINGS offers two types of crust for our freshly made specialty pizzas, our famous New York Style and our Hand-tossed thin crust pizza. 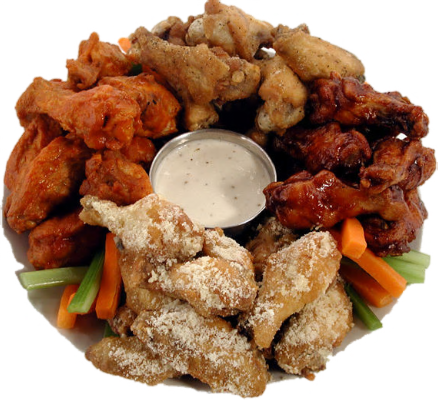 WINGS-PIZZA-N-THINGS restaurants foods are prepared as soon as you order, insuring the freshest flavor possible. Fly on in Today!! !